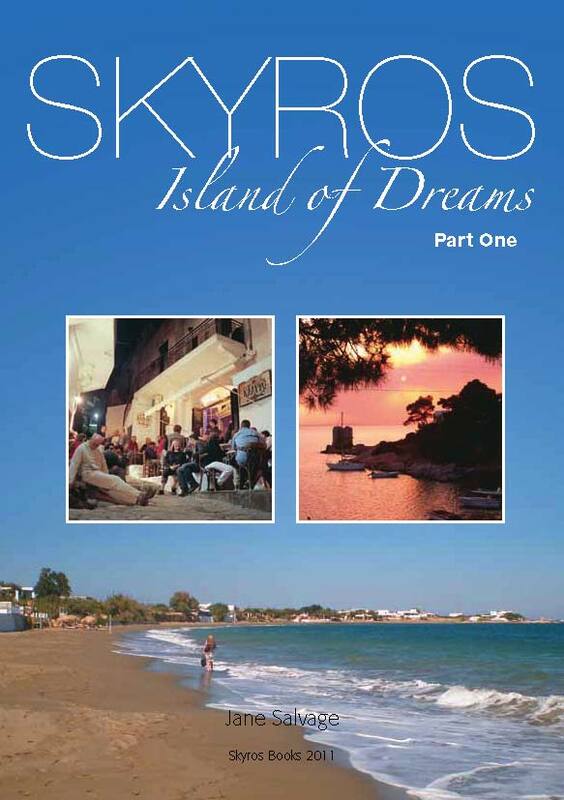 Seeing the extracts fro m my book Skyros: island of dreams appear on the Skyros website these last few weeks, I’ve been feeling proud, exhilarated and nervous all at once. I’ve been working on the book for several years and sometimes thought I’d never get to the end. I would grit my teeth and follow Dina Zohar Glouberman’s advice: give up hope, but keep the faith. In true Skyros spirit, I took the risk and finally made it. 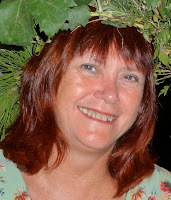 I’ve been visiting Skyros since 1991 as tourist, journalist, participant and course teacher. My London housemate Pauline Lummas went in 1990, and fell in love with a Greek weatherman from the air base. By the next year they were living in Skyros village, so I joined them for a holiday and fell in love with the island, but did not do the Full Skyros Monty until 1999, in Tobago. Since then I’ve been to Atsitsa and the Centre a number of times. As a Friend of Skyros you don’t need me to tell you how Skyros stimulates stories of island life and people’s transformations, in travellers’ tales, novels, plays, poems, paintings, photos, jokes, songs, images and imaginations. Yet back home I’d find myself tongue-tied when I tried to describe my experiences, especially to people who were sceptical of anything up close and personal or soulful. Writing it down seemed easier. And as I thought about my personal journey, I realised that the amazing Skyros story had never been fully told, let alone the myriad stories of Skyros people. It turned out that Zohar and course director Julie McNamara, whom I’d met in Tobago and turned out to live near me in north London, were planning a Skyros book. Working with them at first, and later mostly on my own, I became a gatherer of tales, creating a tapestry that would also weave in the island’s history and culture, and the evolution and values of the Skyros organization. I also wanted to talk about how what we learn at and from Skyros can help make the world a better place. The six instalments being made available as free downloads come from the full-length book I finally completed last year. It was done unpaid in my spare time. Slaving over the computer in my chilly basement on a dark December evening, it could be hard to summon up the sun, sea and sand I wanted to describe, let alone the soul struggles and celebrations. Writing really is 99% perspiration, but the 1% inspiration somehow kept me going, along with my desire to give something back to the place and people who meant so much to me, and had shared their stories with me. Although the final product is mine, I dipped into an overflowing treasure chest in its making. 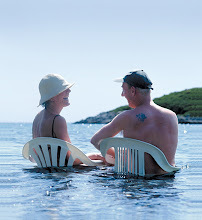 People involved with Skyros often adopt different roles, some changing over time. One of mine is a kind of griot: in West Africa, someone who delivers history as a poet and wandering musician, and carries the cultural knowledge and identity of the tribe. I hope my book carries and honours the cultural knowledge and identity of the Skyros tribe. Lots of people are quoted, and many more appear in the wonderful photos that Yannis Andricopoulos has used to illustrate the book. Take a look, if only to see whether you make a guest appearance. And do post a comment on it if the spirit moves you. We writers love to know that we are being read!